Omigosh these two were SO cute!! They are four-year-old TWINS and they are so adorable! I love when brother and sister like each other well enough to get close and even hold hands!! They enjoyed being a little silly, but they were SO cooperative for four-year-olds! 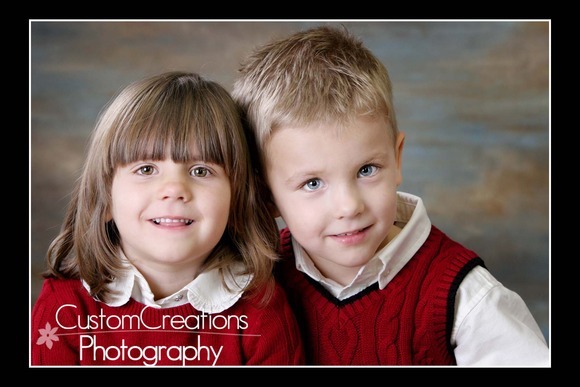 It was a pleasure having them in the studio and can’t wait to create a super cute Holiday Card for their family!!! Here is a sneak peek! Posted in Uncategorized | Comments Off on Olivia and Cooper!